We are qualified tree surgeons and site clearance specialists in Overton. We are completely certified and highly experienced tree surgeons providing thorough services to clients across Overton. 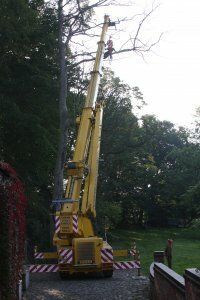 Our all-encompassing service is offered whether you’re pruning, trimming or felling and every customer receives individually personalised remedial work to handle their problem, whether it is a misshapen, dropped or dangerous tree, we’ve the knowledge, the skills and the equipment to suit your needs.